Robert Gouger (1802-1846) was one of the first and most influential advocates for South Australia. The son of a wealthy London merchant, he preferred worthy causes to trade and was often short of money as a result. He was a devout Dissenter and he was also friendly with Robert Owen with whom he shared a commitment to both philanthropy and radical politics. In 1829 he considered joining the colonising venture at the Swan River (Western Austraila), but changed his mind after visiting Edward Gibbon Wakefield in Newgate prison. Gouger became an enthusiastic supporter of Wakefield’s concept of systematic colonisation and became its chief publicist. During a brief spell in King’s Bench prison for bankruptcy in 1829 he first learned about discoveries in southern Australia. On his release he formed the National Colonization Society with Wilmot Horton, hoping to interest the Colonial Office in a scheme to help resettle pauper emigrants, but the society soon foundered. News of Captain Sturt’s exploration in southern Australia renewed his interest in systematic colonisation however and in 1831 he drew up two proposals for the Colonial Office, one with Wakefield and another proposal of his own. Both were rejected. Undaunted, in December 1833 Gouger formed the South Australian Association with others, hoping to persuade the British Government to grant a charter to found a colony, which would belong to the Crown but be administered by trustees. Once again the proposal was rejected. Gouger was an indefatigable promoter however and had aroused the interest of many hopeful emigrants. He continued to organise meetings, write to the press and lobby members of parliament and finally won the support of the influential Duke of Wellington. Wakefield meanwhile had drafted a colonisation bill for parliament and in August 1834 the South Australia Act was passed. When the South Australian Colonization Commission was finally gazetted in May 1835 Robert Gouger was appointed colonial secretary. He worked assiduously to sell land on the Commission’s behalf and on the proceeds of his commission married Harriet Jackson on 22 October 1835. They sailed for South Australia on the Africaine on 28 June 1836. Soon after arriving Harriet gave birth to a son, however both died soon after in the March of 1837. It did not get much better for Gouger in South Australia after he was suspended from his duties as colonial secretary after a public brawl with Osmond Gilles. 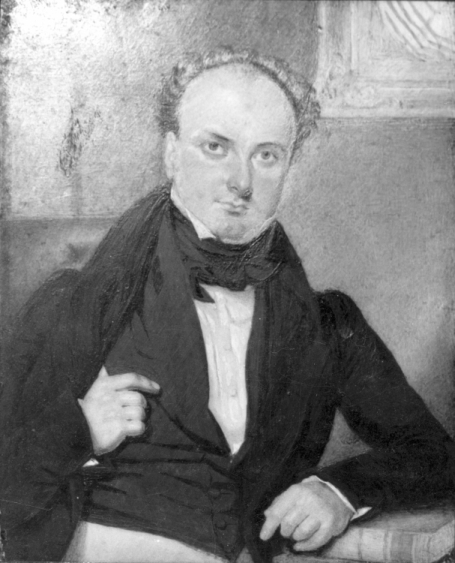 Gouger returned to England and remarried before returning to Adelaide in June 1839. He resumed his role as colonial secretary until the arrival of Governor Grey, at which time Gouger became the colonial treasurer. He held this position until August 1844 when he took leave because of a mental affliction. He did not return to work but instead returned to England, where he died on 4 August 1846.